in Hayward attract free food-sharing operators. HAYWARD CITY COUNCIL | Changes may be coming for how Hayward regulates non-governmental free food-sharing programs for the poor in public spaces. Hayward city staff detailed a growing list of complaints from downtown business owners and residents who say the open-air services often located in city parks creates logistical and personal safety issues. Rehabilitating Hayward’s slumping downtown to attract new businesses and retain existing ones has been a constant problem exacerbated over the years by a middling local economy. Similarly, homelessness and poverty has also been nagging problems for this former industrial town. Both problems appear on a collision course. Halliday added the issue contains many competing interests from the city goal to entice shoppers to Hayward. More people spending money downtown, already perceived by some as unsafe, she said, will mean increased revenue for the city to provide better social services. “I hope people aren’t viewing us as heartless because we’re taking up this issue, but there has to be some balance. There has to be some rules.” Permitting on public private may be needed, she said, as did other council members. Currently, there is no requirement for free food-sharing operators to obtain a city permit to distribute food in public spaces. Sara Lamnin, a noted community activist for the poor in Hayward and former city council and school board candidate, urged the council not to direct city staff to begin work possible solutions such as instituting a permitting process or zoning changes. Instead, she said the city should focus on working with all stakeholders from businesses, churches and social service agencies for a long-term solution. One possible solution, Lamnin advocated, includes finding a central location for all food-sharing groups to feed the needy. Such a plan, some councilmembers concluded, might take years to implement, in addition, to being costly. 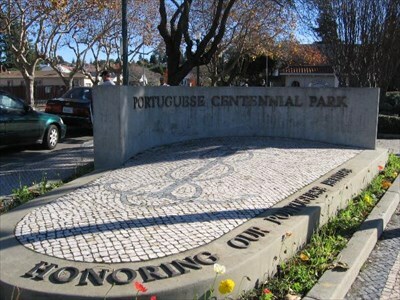 According to the staff report, between 6 and 12 food-sharing groups operate in Hayward at one time or another serving 50-100 people at downtown locations such as Portuguese Centennial Park, Newman Park, City Hall Plaza, Library Plaza near the main branch of the public library and some municipal parking lots. Nearby business owners tell the city the sites are often littered with debris and overflowing garbage cans, sometimes attract people who display aggressive behavior and relieve themselves in public. The report, however, notes there may not be any correlation between such behavior and those who obtain free meals at the sites. Poverty and homelessness is will always be ubiquitous in our society, said Councilmember Greg Jones. “It’s something we can affect locally, but can’t solve locally.” However, Jones said he favors reclaiming the public spaces from use by one group. Posted in Barbara Halliday, Castro Valley, Downtown Hayward, Fran David, Greg Jones, Hayward, Hayward City Council, homeless, Mark Salinas, Michael Sweeney, poor, Sara Lamnin. Bookmark the permalink. Did the heart of the Bay break? How far is Castro Valley from Downtown Hayward? Quarter of a mile down Redwood? Sounds like someone feels threatened by this or ses a big opportunity for profit. This issue is certainly not new and The Mayor's callous comments about the need for social services other than those provided to his largely white senior Spectrum group are also not new. Like always lots of criticism but no solutions. O well! Jones comment about reclaiming public space ignores the fact that the feeding program does not last long and others groups use the public space for extended periods, yet no one complains. Is it just the Hungary that he wants excluded. Aren't all entitled to use this space? Who will he target next as not deserving to use such space? As a business owner I encourage council to find a fair and cost effective long term solution that responds to the needs of Identified population but does not discourage shoppers and others who want to use the public spaces.